We always like to have a crack at some lunatic results here at OC3D, and the HD7950 is no different. tissues are at the ready! That was chuffin nuts can't wait to see the 7970's O'Ced I think there will be a lot of messy keyboards and screens LOL!! They're 7950's. And it will get pretty messy . 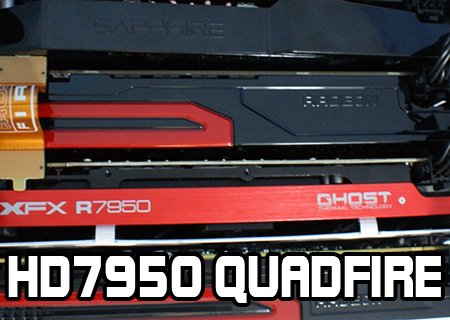 He meant when Tom does re does the quadfire 7970s overclocked. when do the 7series card start to come out?